All wine regions with the sub-regions and all their AOCs. Per wine region is shown the most important red and white grapes ranked from the most to the least widely planted. 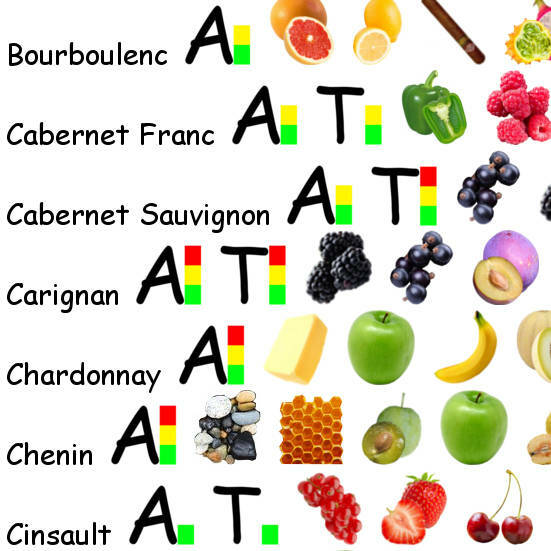 For each grape variety is illustrated the acidity and tannin levels and the most important characteristics of the grape in order of importance. 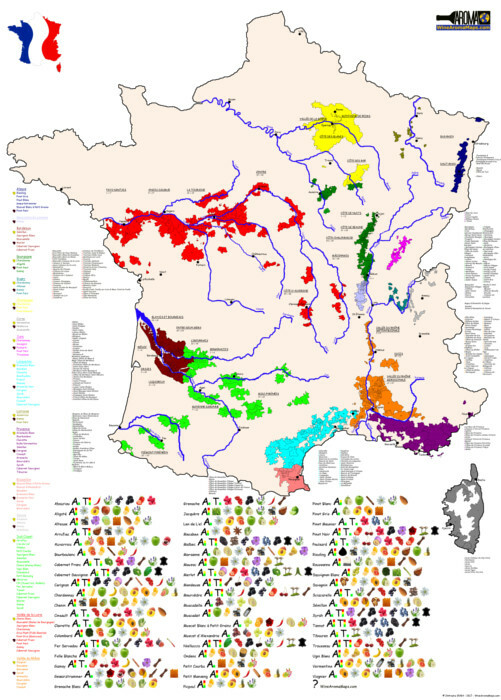 The most important French cities and rivers in the wine regions.